Paddy Power reckon a total 75 per cent MPs will lose their seats tomorrow. 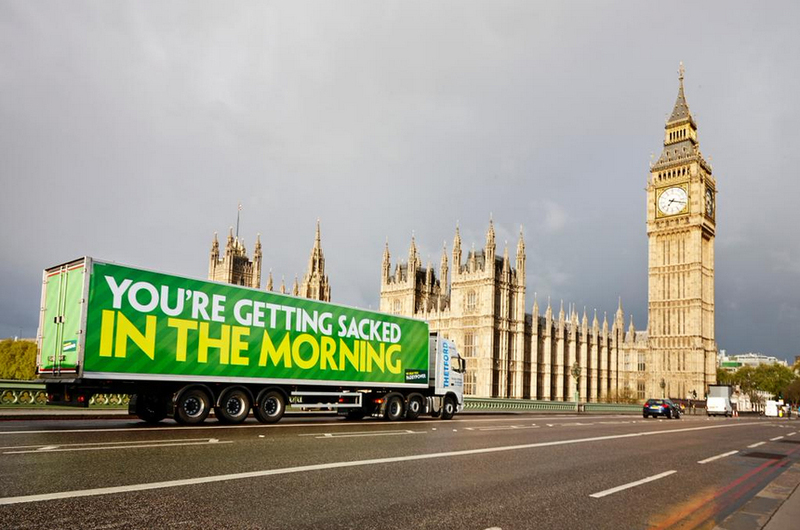 To mark the occasion, in typically Paddy Power style, they’ve driven a poster lorry with the slogan ‘You’re getting sacked in the morning’ (a common chant in UK football grounds) emblazoned across it through the streets of Westminster. A very good press stunt which will nudge politicos towards placing their election bets with the bookmaker this evening.